At the end of December we learned that we have to move our art studio, fairly quickly with a somewhat short notice. We have found a new space to house our screen printing equipment which will allow us to be creative and productive. Many people have asked how our community can help. We asked for help with expenses that we hadn’t planned for, the response was amazing. We felt lucky to have so many great people helping us out. 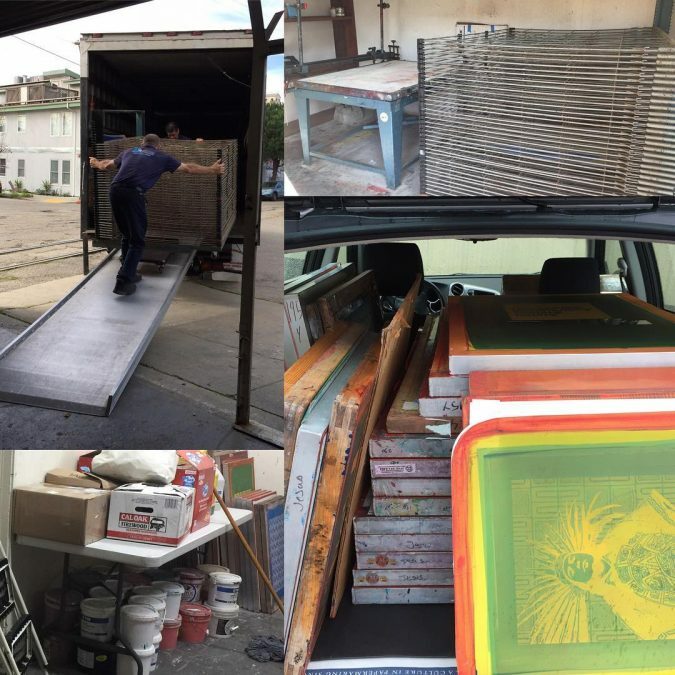 It helped us hire a crew of professional movers that carefully packed and moved our exposure unit, drying racks and the large and very, very heavy one arm screen printing press. We were also able to by a new sink and washout both, next is building out new shelves to store all our screens and ink. There is more to come and we will keep you updated as things come together.